We offer affordable prices on all our tissue products without compromising on quality, we manufacture, market and distribute tissue products to households and businesses. 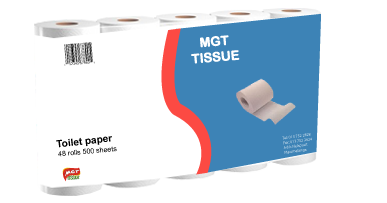 MGT Toilet Manufactures is the market leader in high-quality tissue, we supply to hospitals, catering and leisure as well as convenience stores. 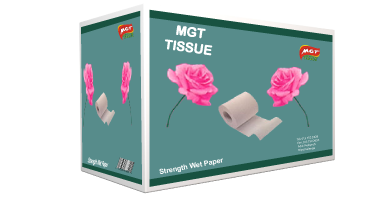 MGT Tissues are strong, super thick and absorbent for multiple uses, we have perfected the combination of strength to absorption, our Toilet Paper Manufacturing Company has experienced leadership team that holds considerable industry leadership credentials positioning the MGT Toilet Paper Manufacturers as the experts in the tissue industry. Our familiar products are used every day in homes, hotels and factories. 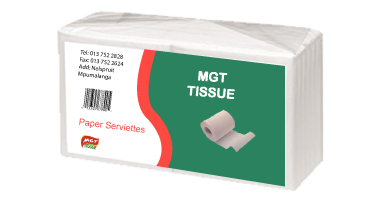 We supply our wide range of high-quality tissue products to cleaning companies, chain stores and wholesalers in South Africa. 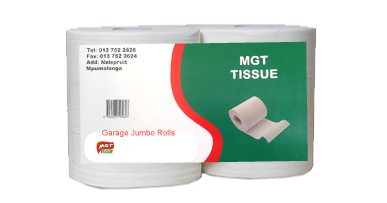 We also supply Garage (jumbo rolls).We specialise in manufacturing toilet tissue from 100% virgin pulp while we do have a range of recycled paper products, our main focus is virgin paper products. All of our products are designed to fully meet your hygiene needs. We guarantee professional and speedy delivery at a very competitive price. 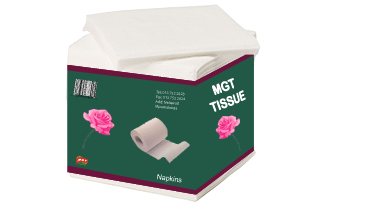 Whether you need to mop up a spill or clear up a runny nose our Toilet Paper Manufacturers at MGT have a wide range of Napkin Paper, Serviettes and Facial Tissues to suit your needs. 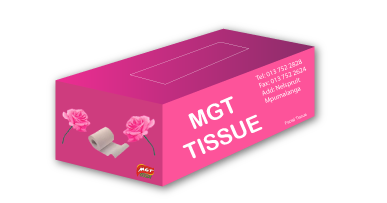 Insist on MGT Tissue Products for everyday use. Our serviettes are plain white or embossed and are available as 1 or 2 ply variant. 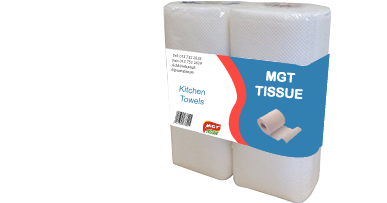 Our Tissue Manufacturing Company has a wide range of kitchen towels for use in garages, restaurant kitchens and bathrooms. We manufacture rolls that fit almost all types of paper towel dispenser as well as folded hand towels.